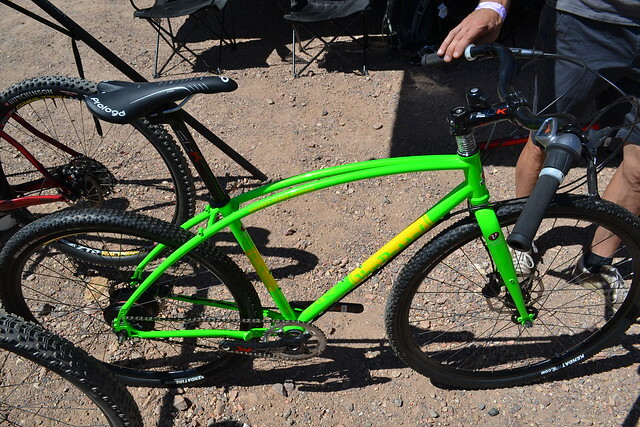 Soma Fabrication recently sent us the Double Cross DC to do a Dual Purpose Project Bike. • Rear spacing fits road or mtn. hubs. 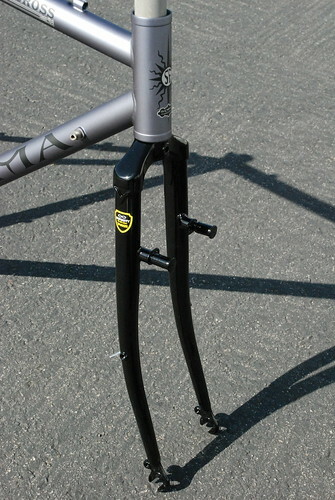 • Optional matching IRD straight blade disc fork available. 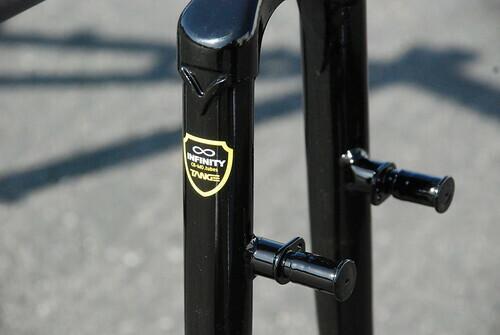 If you want to run cantilevers, you can choose to use the Slick Black lugged crown fork that goes with the standard Double Cross. 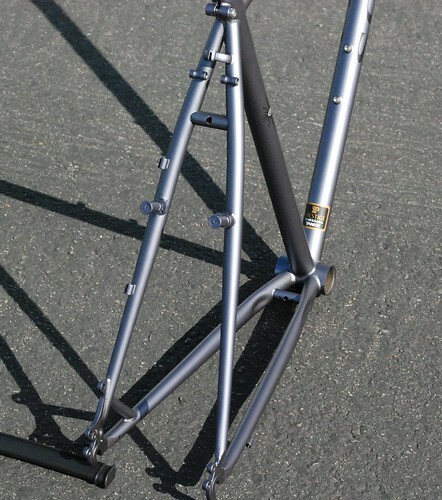 • Rear disc mounts are located on the seatstay, so if you intend to use a rack in conjunction with disc brakes, you will need racks designed to work with disc brakes, which are available from Topeak, Axiom, Delta and us. Fits 160mm rotors only. 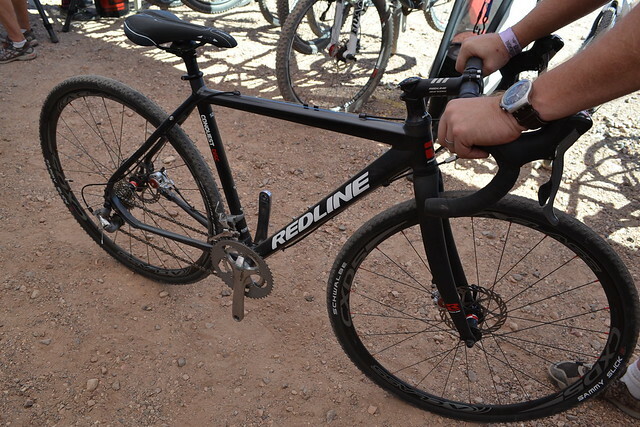 • 1-1/8″ size headtube – w/ extra height so you use less spacers. 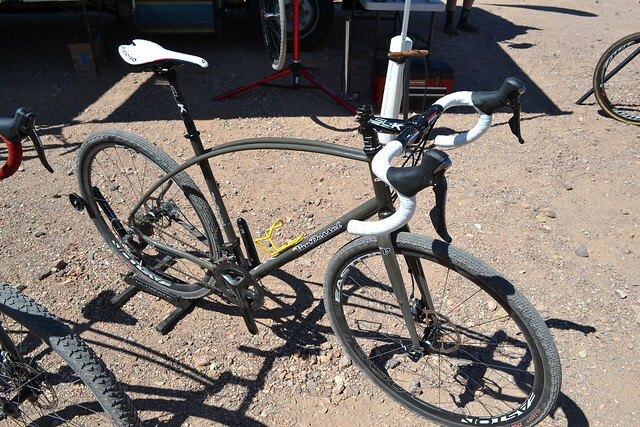 Plus a lugged steel fork…ooooh tange. 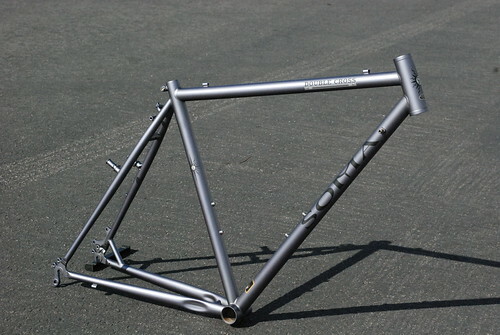 So what do I mean by “dual purpose?” Since this is a Cyclocross frame, I plan on building it to be used on my local mountain bike trails and of course, for commuting. 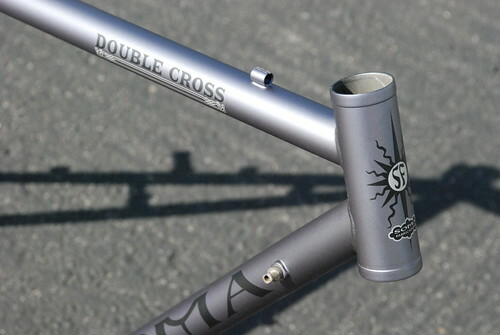 Rather than going with traditional drop bars, the Double Cross DC will be set up with either a flat or riser bar. I’ll post updates of the build as I progress with the project.